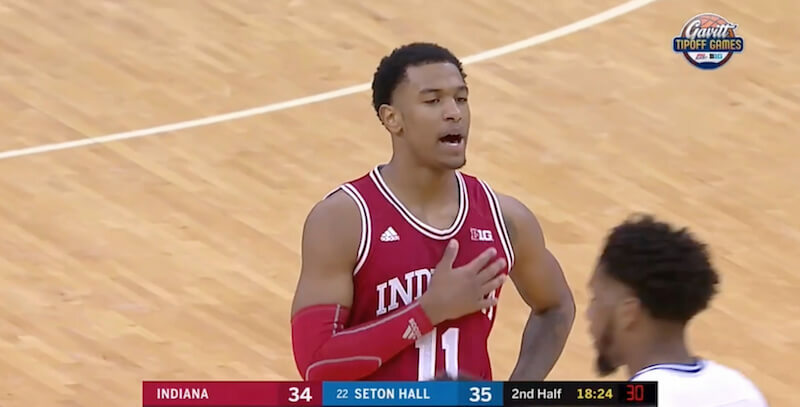 The Hoosiers stuck with the Pirates for the first half on Wednesday night thanks to hard play and some sharpshooting from Devonte Green. 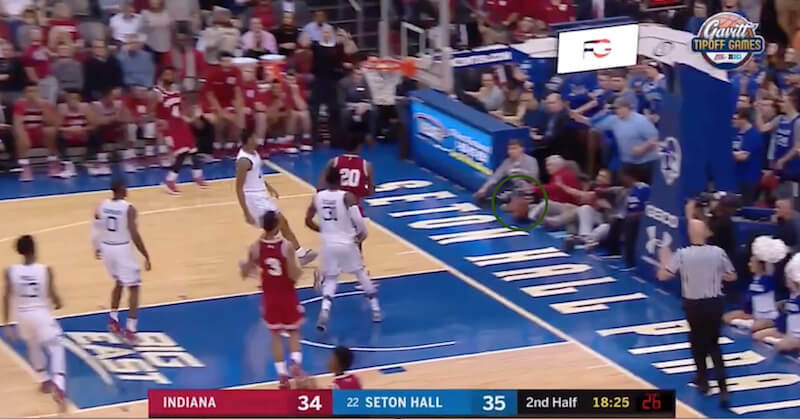 But early in the second half, the Hoosiers let things slip away thanks to a host of turnovers and Seton Hall working its offense against Indiana. 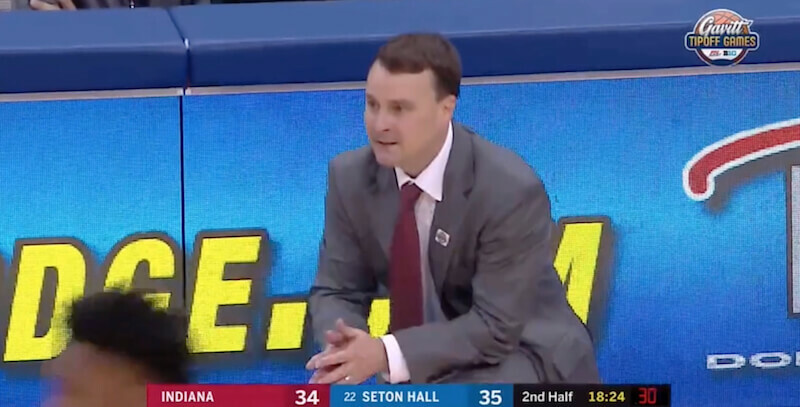 The Hoosiers never recovered and Seton Hall cruised to a double-digit victory. Note the bogus foul call on Davis in #2, and the quick 5-second call in #4. 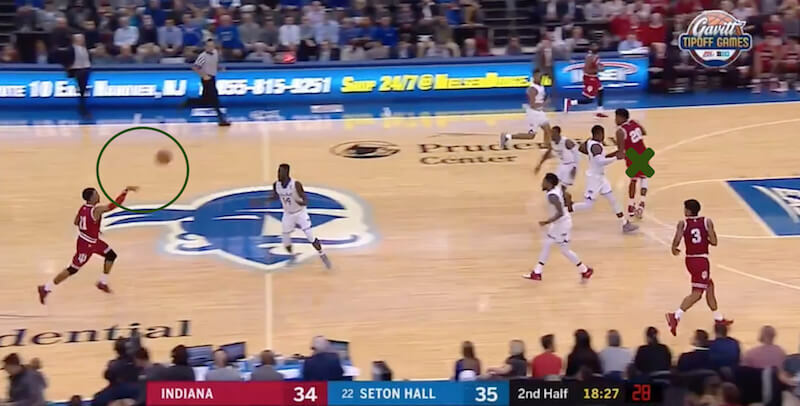 Seton Hall had a true 5 seconds later that wasn’t called. Their guards frequently had their hands on ours, particularly in the first half, but it was never called, IIRC. Fortunes of war, I suppose. green knows the game well, just needs to keep workin in cook hall to refine his abilities enough to match his confidence. he’s going to be a really good player as an upperclassmen; i hope he stays. 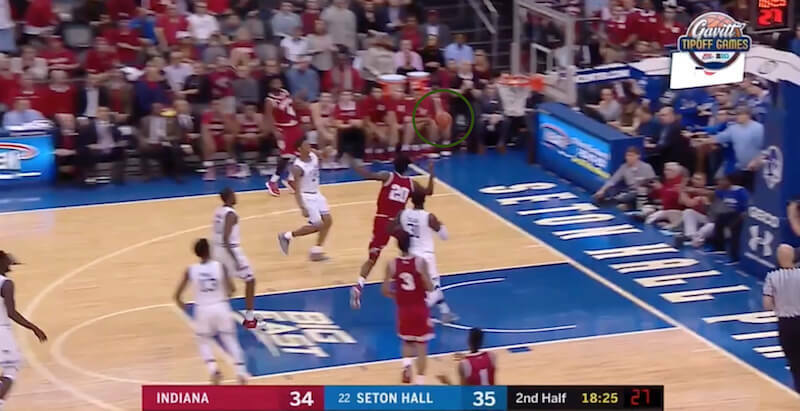 that casual one-handed pass to davis was a good thought. if you watch the video and pause as green makes the decision to pass, you can see davis had run ahead of his men. a good pass would probably have given davis a layup, at least a foul at the rim. pass just wasn’t accurate. it’s a play akin to the three-quarter court hulls-to-zeller pass on the break we saw numerous times. wish davis was that mobile. 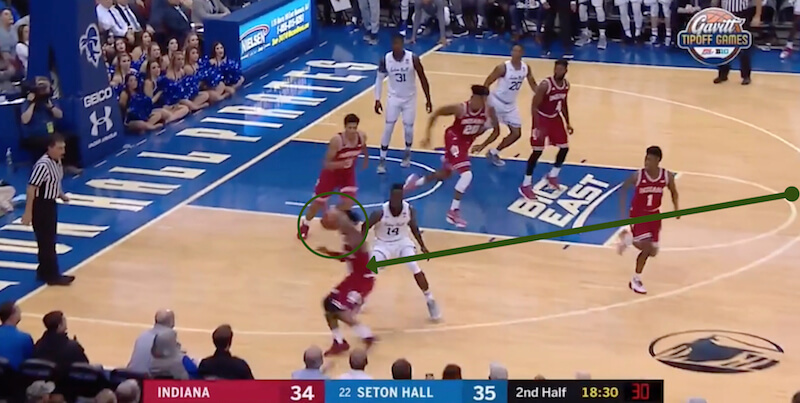 Green’s brain_art was really bad..because he has Smith and Cujo..both wide open down the right side of the court with nary a defender in sight. 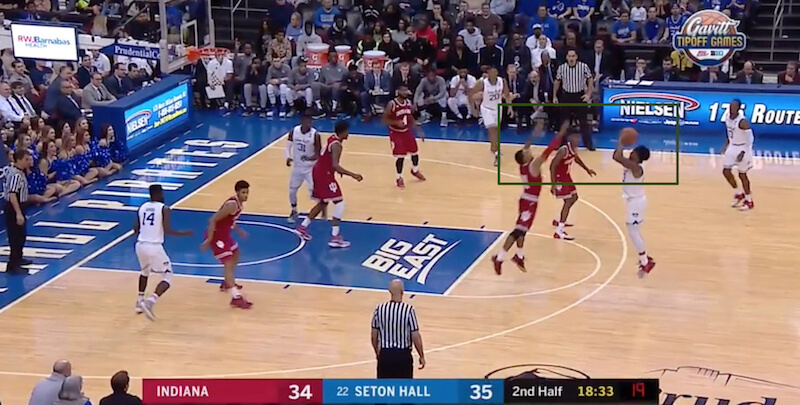 Easy lay up or wide open 3 for either team mate. Geez. I don’t understand why #2 was a foul. What could Davis have done differently? The 5 second count begins when the ball is at the disposal of the thrower-in. You don’t see how long it has been at JM’s disposal in this video. The count doesn’t necessarily begin when it is JM’s hands.